You can routinely get yourself into a “peak” or heightened state of mind and then operate from that state for the remainder of your day. It’s strange, though, that most people won’t do this. Most people are content pulling themselves out of bed and then dragging themselves through their day. Most people begin with negative momentum and continue with negative momentum. Most people’s days are highly reflective of their past. As people age, they become increasing past-oriented. Children are almost entirely future-oriented. If you ask them their age, they will say, “I’m almost 6!” or “I’m 5 and 3/4!”. At some point or another, you probably became past-oriented. You may have goals you’re pursuing. But if you look at your actual daily behavior, does it mostly look like what happened yesterday? If so, then you’re past-oriented. If asked the question, “Why are you doing what you’re doing?” when speaking of your job and other activities, is your response based on experiences and events of the past, or desires for your future? Most people are doing what they are doing because of an event in the past. Most people’s lives are highly predictable — because they are living from the past. Their body and environment have become the controlling influences in their lives. Their body is the record of their past, which has become used to experiencing the same emotions every day. Stepping out of those emotions — their comfort zone — isn’t fun and so it happens rarely. And their environment keeps them in check and holds their self-image together. If you want to change your life, you can do it very quickly. You can put yourself into a peak mental state every single morning and then operate from that state of mind throughout your day. That’s what living in a peak-state is all about. It’s about having the imagination and possibility of a child and then creating the emotional experience of actualizing that future in the here-and-now. As you act from the future of your deepest desires, your behaviors change dramatically. You act with gusto, enthusiasm, and interest. You see potential where others see nothing. These two quotes encompass the psychological concept — “Selective Attention” — which means we only pay attention to things from our environment that are meaningful to us or that we are looking for. We selectively attend, and the rest of everything in the field outside of us goes unnoticed. Every morning, you can put yourself into a zone where you see incredible opportunities and experiences. Your perspective comes from your emotional lens. How you feel about the world determines how you see it. When you act from your desired future — you see things you couldn’t see before. You act far more powerfully. You also begin acting with the foreknowledge (i.e., pre-cognition) that when you act powerfully, positive emotions will ensue. This list may seem lame to you. You may be one of those people who feel you are above something like this. And that’s fine if you are. But without fail, every time I purposefully create a solid morning routine, I feel better. With this morning routine, you actually enhance your emotional-state from two angles. You act intentionally and powerfully, which immediately shifts your emotional state as Dr. Bruner says. But you also take the time to visualize and emotionally generate your desired future in the here as now, as Neville Goddard says. You act your way into feeling powerful. And you also feel your way into action. You then operate the rest of your day from your future, not your past. If you sleep well and treat your body right, you won’t need caffeine and other stimulants. Research has shown that caffeine use is due, in large part, to the industrial model of working from 9–5. It’s also clearly due to people’s poor sleeping and technology habits. Don’t start your day with caffeine. Instead, follow the advice of the people who consistently live the longest. In the book The Blue Zones: Lessons for Living Longer From the People Who’ve Lived the Longest, Dan Buettner explains that people who live to be over 100 usually start their day with a purpose. They rarely rely on stimulants to get through their day. They are intentional. They are focused on longevity and purpose, not on quick-fixes like caffeine. Wake up immediately when you said you would. Confidence is a byproduct of doing what you say you will do. If you don’t trust yourself, you can’t have confidence. Confidence is something that has to be earned every single day. The first decision you make, the one to wake up, starts your momentum in either a positive or negative direction. Get into a new environment. Every environment has energy. 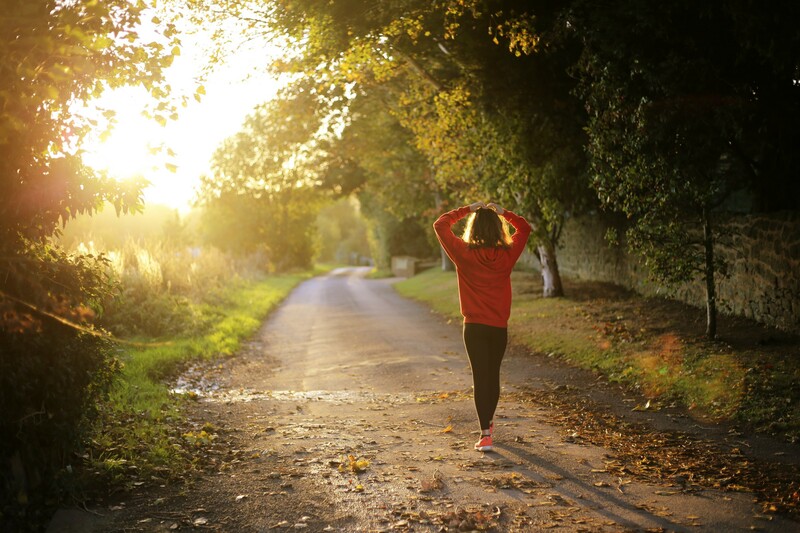 In order to get yourself moving and going, get yourself into a fresh environment. Even if that’s just outside. Shifting environments shifts your energy. When you get up and immediately change your environment, you actually boost your energy levels. Research done by Ellen Langer has found that by simply changing context, people’s energy levels increase because the brain loves novelty and newness. Meditation and prayer with emotion and writing. Also, when you begin to meditate, visualize, and write about your goals, you want to be in an environment conducive to getting clarity and insights. In order to live from your desired future, you want to think about it while your mind is creative first thing in the morning. A creative mind is essential to being a creator of your future and life. Imagination is highly linked to learning, joy, and creativity. How imaginative are you? How imaginative is the future you’re striving for? As your visualizing and writing down your goals, do so with feeling. Assume the feeling of having achieved your dreams. 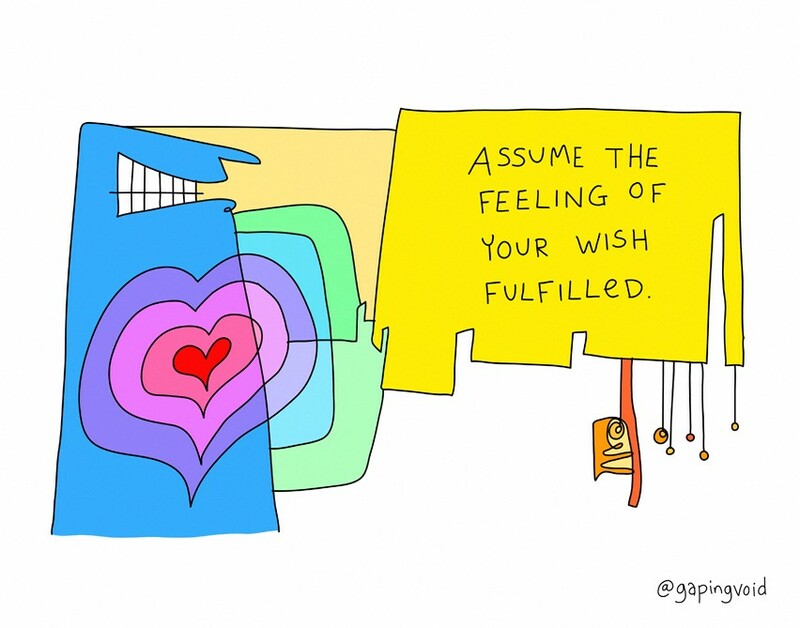 Assume what it would be like to have what you want. Realize that the moment you begin feeling different, then you can create a different future than you did your past. Most people feel the same way today as they felt yesterday. And their body seeks desperately to recreate the same emotional state — which has become your homeostasis. In order to become a new person and create a new future — you need to act in ways that produce new emotions, and strategically generate the emotions you seek to feel. Listen to high-quality information while you exercise. Workout in the morning, whether that means walking or going to the gym. Whatever you want. But grab yourself a pair of cordless headphones — you can find some for as little as $20. Workout while you listen to audiobooks or podcasts or inspirational music. By moving and pushing your body, you’ll also be lighting-up your brain. In the book, Spark: The Revolutionary New Science of Exercise and the Brain, John Ratey and Eric Hagerman show that fitness charges your brain up and gets you into a learning and heightened state. The food you put into your body directly influences how well your brain, body, mind, and emotions work. Eat foods that light your brain up and get you energized to think and work. Nuts and seeds — higher levels of vitamin E correspond with less cognitive decline as you get older. Avocados — a monounsaturated fat, which contributes to healthy blood flow, which means a healthy brain. Avocados also lower blood pressure, and as hypertension is a risk factor for the decline in cognitive abilities, a lower blood pressure should promote brain health. Beets — they reduce inflammation, are high in cancer-protecting antioxidants and help rid your blood of toxins. The natural nitrates in beets actually boost blood flow to the brain, helping with mental performance. Blueberries — it’s one of the highest antioxidant-rich foods in the world, including vitamin C and vitamin K and fiber. Because of their high levels of gallic acid, blueberries are especially good at protecting our brains from degeneration and stress. Bone Broth — the ultimate food for healing your gut and, in turn, healing your brain. Its high levels of collagen help reduce intestinal inflammation, and healing amino acids like proline and glycine keep your immune system functioning properly and help improve memory. Coconut Oil — works as a natural anti-inflammatory, suppressing cells responsible for inflammation. It can help with memory loss as you age and destroy bad bacteria that hangs out in your gut. Egg Yolks — contain large amounts of choline, which helps in fetal brain development for pregnant women. It also breaks down bethane, a chemical that produces hormones related to happiness. Turmeric — helps boost antioxidant levels and keep your immune system healthy, while also improving your brain’s oxygen intake, keeping you alert and able to process information. Work on a creative project while in a peak state. Crush the day while everyone else is in a daze. If you want to become successful, you must create success. Wealth is not something you earn, it’s something you create. And you can create success every single day. You can get into a creative state and produce incredible works. You can build companies. Write music. Come up with creative solutions. You can be a highly creative, imaginative, and innovative person. But creativity is a verb. It’s like love. It’s something you do and embody. Get your most important stuff done first. Or else, as you’ve seen before, it likely won’t get done. Want to live in a peak state? Then produce amazing mornings. 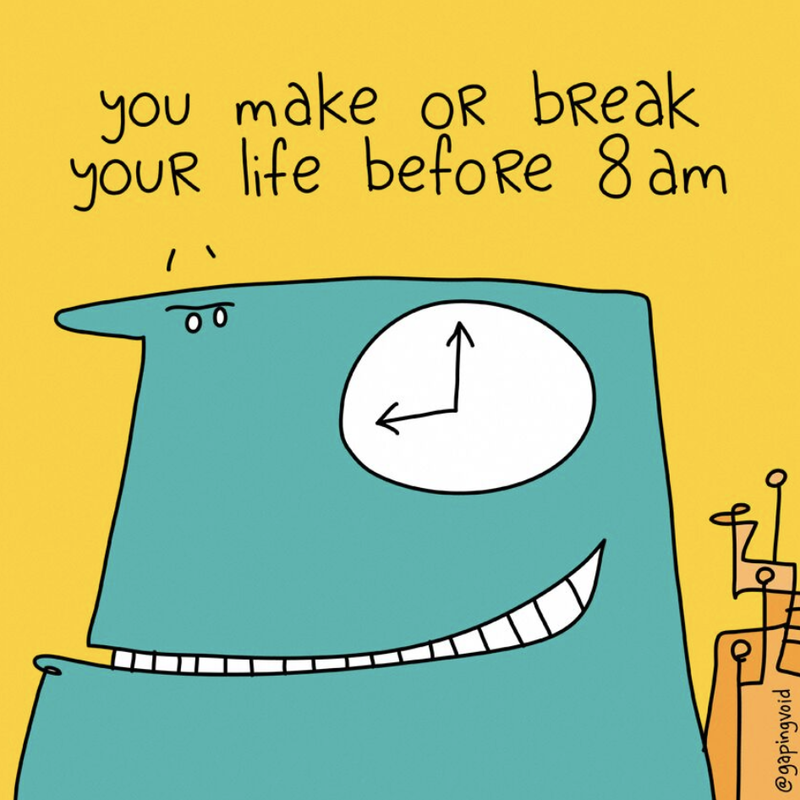 You make or break your life before 8AM. Act and live from the future you want to create, not from your past.